One of my favourite things about Metroid: Other M was the way Samus looked and moved in that game. She felt both fast and powerful, and the way her Varia Suit was designed made her look incredibly stylish—almost like a sports car with legs. Regardless of what one's thoughts are on Other M, something I feel everyone agree upon is that it was incredibly good at giving Samus a sense of agility and sleekness. Her look from Other M is the one Nintendo chose to use for Super Smash Bros., as well as all promotional material of Samus or Metroid in the years that followed the game's release. Earlier this year, Nintendo released Metroid: Samus Returns—a remake of Metroid II for the Nintendo 3DS. Developed by MercurySteam (Castlevania: Lords of Shadow), Samus Returns utilizes the same style of animation as Metroid: Other M to great effect, bringing that game’s stylish antics into a strictly 2D Metroid. 1. Samus' body is designed to look flexible, despite being layered with armour. When she rotates or stretches her arm out to aim, it actually looks like she's making an effort. The way her back arches, the way her shoulders move back, the way her arm stretches out. 2. 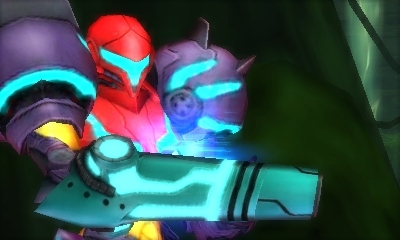 Around the 6-second mark, while the player isn't moving her, Samus takes a moment to "adjust" herself to get comfortable in the suit. This is astounding attention to detail. 3. When the player turns Samus around mid-sprint, she does a very stylish pivot on one foot and ends up facing the other direction instantly, without sacrificing any animation frames in the process. A lot of this fantastic animation work has its origins in Metroid: Other M. While that game doesn't have the best reputation among Metroid fans its good to see one of its greatest contributions live on.